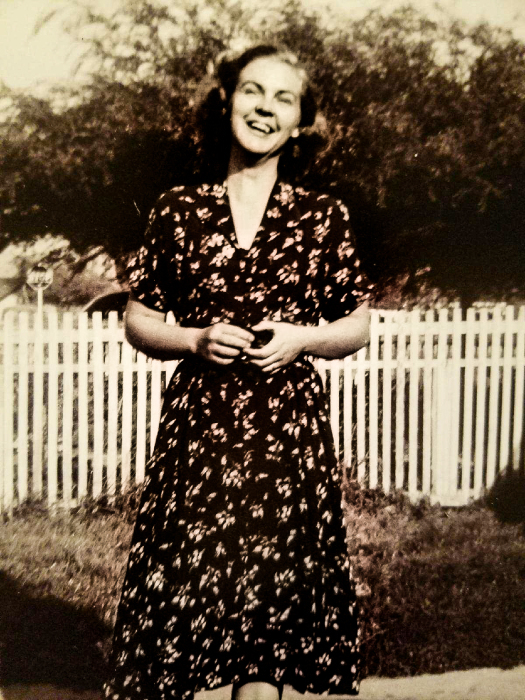 Mildred “Christine” Clark Betts of Rogers, AR passed on March 30, 2018 with her family at her bedside at Circle of Life Legacy Village Hospice in Bentonville, AR. She was born May 31, 1933 in Hope, Arkansas to Bud J. and Burnice Wright Clark. She was a dedicated daughter, sister, wife, mother, grandmother, great grandmother and a great great grandmother. She was married to Clifton Robert Betts for 59 years. She and Cliff raised four beautiful children, Brenda, Roberta, Wayne, and Cynthia. Christine was known best for her deep love for family, friends, her dogs (fur babies), roses, watching the deer and cardinals in the yard, country music, traveling and had a passion for shopping. Cliff and Christine owned and ran a very successful burglar alarm company for over 40 years in California. When it was time to retire they came back to Rogers. Christine loved to sit and visit with everyone. She was a good listener, gave the best advice and was never wrong. She was a sassy, yet one of the kindest, selfless, classy women you would have ever met. One of Christine’s favorite phrases was “now, (with a head nod) this is just between you and me and the gate post”. If you asked her how she was doing she would say, “holding down the couch”, “this is my opinion and my opinion only”. She is preceded in death by her husband, Clifton in 2009, and her parents. Christine is survived by one son, Wayne Betts and wife, Mary of Rogers, AR; three daughters, Brenda De Shields and husband, Michael of Rio Vista, CA, Roberta Betts of Rogers, AR and Cynthia Lininger and husband, Steven of Rio Vista, CA; 11 grandchildren; 20 great grandchildren and one great great grandchild. Funeral Services will be held at 1:00pm, Friday, April 6, 2018 at Stockdale-Moody Funeral Chapel with Rev. Ben Rowell officiating. Burial will be at Buttram Chapel Cemetery in Pea Ridge. Memorials may be made to American Cancer Society, Center of Non-profits, 1200 W. Walnut, Suite 2313, Rogers, AR 72756 or American Kidney Foundation, 11921 Rockville Pike, Suite 3000, Rockville, MD 20852 or Circle of Life Hospice Home at Legacy Village, 1201 NE Legacy Pkwy, Bentonville, AR 72712 .